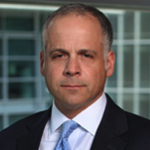 Jim Kramer is Co-Chair of Orrick’s White Collar, Investigations, Securities Litigation & Compliance group. His practice focuses on defending companies, officers and directors in shareholder class actions, derivative suits and regulatory proceedings. He is acknowledged by Chambers as a “Leader in their field” for Securities Litigation and has also been acknowledged as one of “America’s Leading Litigators” by Benchmark. Jim regularly advises companies on corporate governance, fiduciary duty and disclosure issues. He is a frequent lecturer on issues involving securities matters and class action litigation. Jim is an editor for the Securities Reform Act Litigation Reporter and regularly contributes to Orrick’s blog on Securities Litigation hot topics (www.SecuritiesLitigationBlog.com) and Orrick’s Guide to Securities Litigation, the go-to-book now in its 25th year and available on iTunes. Jim Kramer is past chair of the Embarcadero YMCA Board of Managers and remains active in YMCA philanthropy. In his spare time, Jim Kramer enjoys time with his family and is a recreational long course triathlete. Prior to joining Orrick, Jim was a partner at Clifford Chance US LLP and Brobeck, Phleger & Harrison LLP. In re NVIDIA Securities Litigation. Obtained a precedent-setting victory in the Ninth Circuit on behalf of firm client NVIDIA Corporation. In a published decision, the Ninth Circuit affirmed the dismissal of a securities class action alleging that NVIDIA failed to disclose defects in its products in violation of Section 10(b) of the Exchange Act and SEC Rule 10b-5. Livingston v. 23andMe. Achieved two significant victories on behalf of the client in a consumer class action including a motion to compel arbitration and a clause construction award. Bundy v. IronPlanet. Represented a company in an action alleging breach of a repurchase contract over a founder’s shares of stock. After arbitration obtained a complete judgment in the client’s favor and an award of attorneys’ fees and costs. SEC v. Mercury Interactive, Inc. Represented the former GC of Mercury in an SEC enforcement action alleging backdating of stock options. Matter was resolved on a non-fraud basis prior to trial. In re Sequans Securities Litigation. Obtained dismissal at the pleading stage of a putative securities class action asserting claims under the Securities Act of 1933 and the Securities Exchange Act of 1934 against the company and certain of its officers in connection with the company’s public offering. SEC v. Berry. Represented former GC of two publicly traded companies in an SEC enforcement action alleging backdating of stock options. Matter was resolved on a non-fraud basis prior to trial. In re 3dfx Bankruptcy Litigation. Mr. Kramer was part of a trial team that recently obtained a ruling completely favorable to client NVIDIA Corporation in complex M&A/creditor’s rights dispute in U.S. Bankruptcy Court for the Northern District of California. In re: Micrus Endovascular Securities Litigation. Obtained dismissal at the pleading stage of a securities class action asserting claims under the Securities Exchange Act of 1934 against the company and certain of its officers and directors. In re Agile Software Derivative Litigation. Obtained dismissal at the pleading stage of a complaint asserting derivative option back-dating claims and direct breach of fiduciary duty merger and acquisition claims relating to Oracle Corporation’s acquisition of Agile. In re Acer/Gateway M&A Litigation. Mr. Kramer was part of a team that defeated plaintiffs’ attempts to enjoin Acer’s acquisition of Gateway Computers. In re Watchguard Corporation. Obtained dismissal at the pleading stage of a complaint asserting breach of fiduciary duty and claims against Watchguard and certain of its officers and directors in connection to the sale of the company to private equity purchasers. Represent the Special Committee of the board of directors of a technology company in its investigation of past stock option grant practices and the related SEC investigation. Represent the Audit Committee of the board of directors of a technology company in its investigation into insider trading and revenue recognition issues. Represent the Special Committee of the board of directors of an international media company in its investigation of past stock option grant practices and the related SEC investigation. In re Intermix Securities Litigations. Obtained dismissal of federal and state complaints alleging claims in connection with NewsCorp.’s acquisition of Myspace.com on behalf of VantagePoint Venture Partners.